A year after moving to Sacramento to train at Team Alpha Male, Sage Northcutt is on the move again. However, this time he’s not changing camps, but rather weight classes, officially shifting to the welterweight division, where he’ll take on Zak Ottow in the co-main event of this weekend’s UFC Fight Night event in Boise, Idaho. While the young fighter with the sunny disposition has competed inside the Octagon in the 170-pound ranks twice before, neither of those contests gave an accurate portrayal of what Northcutt might be able to do in the division. 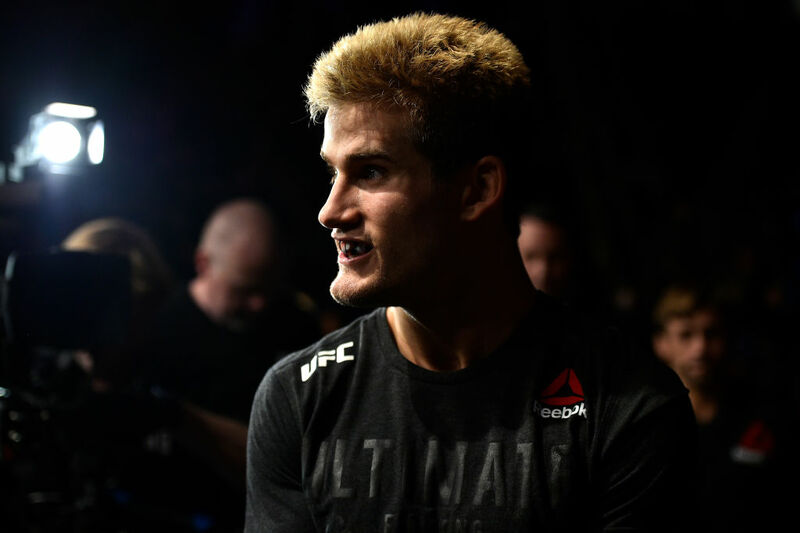 “This is my first time ever walking around at my natural weight,” said Northcutt, who suffered submission losses to Bryan Barberena and Mickey Gall in his two previous welterweight fights under the UFC banner. “I know it sounds kind of crazy and I’ve had two fights in the UFC at (welterweight), but both of them were under extreme circumstances. “My first fight at 170 was a last-minute fight on three or four days notice where I was scheduled to fight at 155. My opponent broke his foot, so I moved up to take the fight at 170. The second fight, I never had a training camp or anything like that because I was battling strep throat. The 22-year-old is a physical specimen – an action figure come to life, complete with spiked blonde hair and washboard abs – but being shredded makes the task of cutting weight before a fight even more daunting. For the first several years of his career, Northcutt believed competing at lightweight afforded him the best chance to maximize his talents and he kept his weight lower than normal throughout training camp prior to undergoing a strenuous cut before stepping into the cage. After a pair of victories that featured solid efforts that fell short of his own expectations, the polite Texan has opted to change things up. “Going down to 155 for my last fight with (Thibault) Gouti, cutting the amount of weight that I do takes about 30 hours, which sounds crazy, and those last few pounds are super-hard for me to cut because I stop sweating,” said Northcutt, explaining the reasoning behind his decision to decamp from lightweight. “I make the weight, but I don’t feel like I’m the same Sage out there that I know I can be and I am in training. Because he was hustled into the spotlight from the outset of his Octagon career, Northcutt hasn’t been afforded the same leeway most young fighters are given when they first reach the highest level. The increased opportunities come with added scrutiny and results in unreal expectations for an inexperienced fighter who arrived in the UFC long before he could legally drink, not that anyone can picture Northcutt sitting around tipping back Lone Stars. Had he began his career with a series of preliminary card fights rather than being a main card staple, amassing a 5-2 record while showing a ton of upside and joining an elite team to further his development would have made Northcutt one of the most intriguing young prospects in the sport. Although some have always held that view of him, others expected immediate greatness, while others still hoped for failure, eager to see the neophyte crash and burn because he took advantage of the opportunities in front of him. Through it all, Northcutt’s attitude and approach have never wavered. Maybe that’s because he’s competed in front of massive audiences for most of his life and has been in the spotlight from an early age, having graced the cover of Sport Karate Magazine at the age of nine. Or maybe it’s because that bubbly exuberance that permeates all his interviews is genuine, and while so many others are hardened and cynical, Northcutt is just a 22-year-old kid getting to chase his dreams who feels excitement where others would feel pressure. 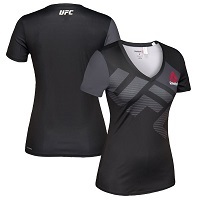 “It sounds crazy, but I don’t feel any pressure going into the Octagon; I feel excitement,” said Northcutt. “I’m excited to go out there and win, beat my opponent up and put on a great show for everybody that is watching; that’s the biggest thing. And Saturday night in Boise, he plans on showing everyone why he’s so excited. “I expect to go out there and knock him out,” he said of his matchup with Ottow. “I believe that he’s not fast enough for me and I’m too strong for him.